With the device powered off, press and hold the Power button for approximately 3 seconds then release. After the device vibrates (approximately 4-5 seconds after the Motorola logo appears on-screen), press and hold the Volume down button. 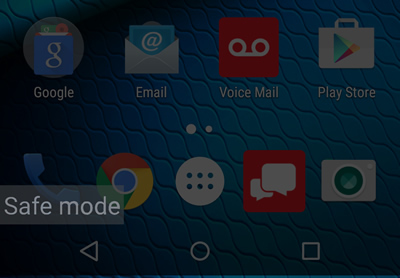 If the button is pressed prior to the device vibrating, it will not boot into safe mode.